Graphic designers are crucial for small to medium businesses as they offer valuable input for website design, brochures and corporate logos. 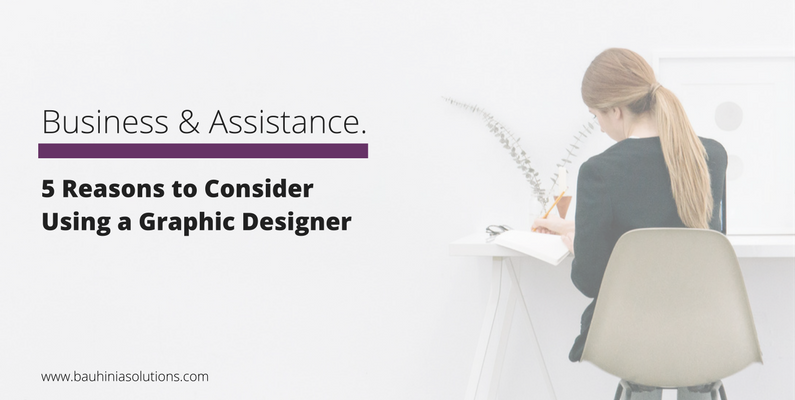 Below are five reasons why a graphic designer may be right for you. By using a graphic designer, there is no requirement to purchase design software and undertake the arduous task of then learning how to operate the system. Having a professionally designed logo or website at the outset allows you to concentrate on marketing your brand and earning money. Redesigning or recreating your brand further down the track can be costly as well as time consuming. How much do you value your time? Graphic design is quite a complicated process and will take a lot of your valuable time to understand and create anything that even closely resembles the quality a professional designer can produce. Regardless of the size of your business, there is one thing which is important in terms of gaining and retaining clients or customers and that is professionalism. If you choose to print your brochures at home after creating them using a standard word processor such as Microsoft Word, take the time to compare that to a brochure which comes through your letterbox. If they offered a similar service and price range to yourself, which company would you use? A graphic designer is not as attached to your business as you are and is able to offer unbiased opinions and ideas on what may work for you. As you are striving for something both unique and competitive it can be extremely worthwhile to seek assistance from an outside source. Do you find yourself lying awake at night trying to formulate and clarify all the ideas you have buzzing in your brain? By speaking to a graphic designer you are able to voice these ideas and, at the same time, gain a much stronger perspective on your business aims and the direction you wish to head.